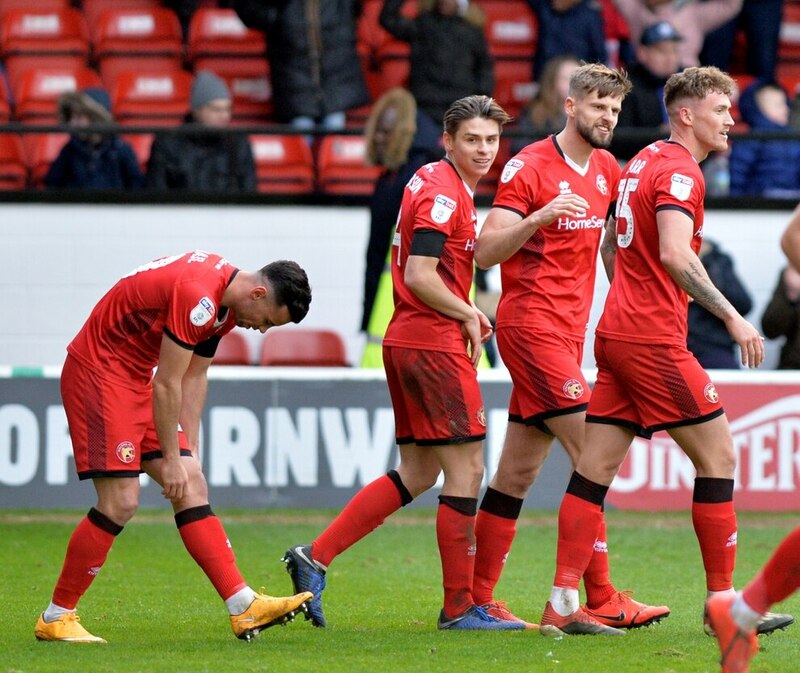 Goals from Morgan Ferrier and Dan Scarr saw Walsall boost their League One survival hopes with a 2-0 win over Fleetwood. 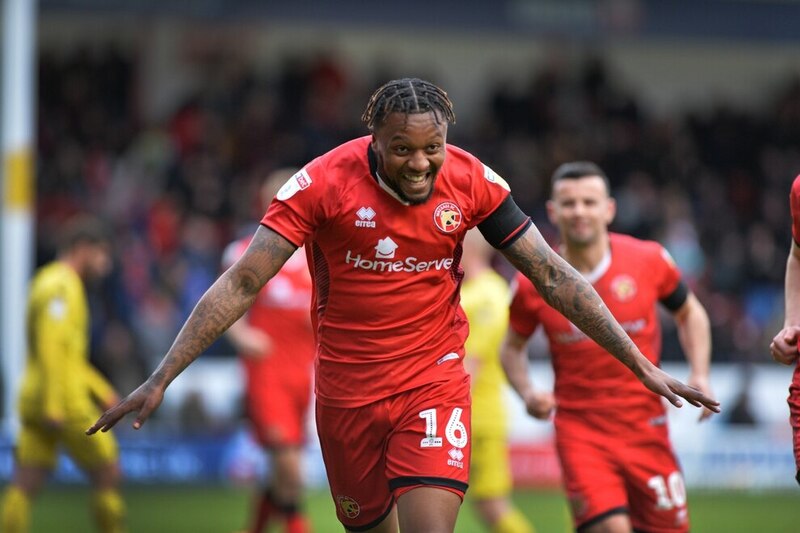 Morgan Ferrier scores for the Saddlers. Dan Scarr celebrates his goal. In what was a deserved victory for Dean Keates’ side, both teams struggled to create clear-cut chances in an uneventful opening 45 minutes. But the Saddlers got their noses in front shortly after the interval with Ferrier nodding in a dangerous George Dobson corner. And from that point, Keates’ men took control with the home side deservedly getting a second when Scarr fired in from close range. 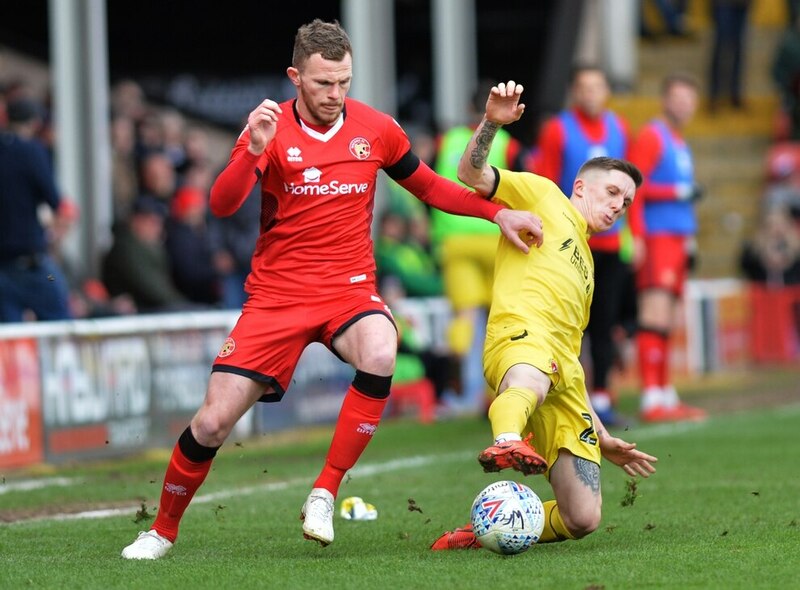 In reply, the Cod Army offered very little with their only real chance arriving in the final few minutes when Ashley Eastham fired over from close range. The result means Walsall - who were actually in the bottom four at half-time - now sit 16th in the table three points above the bottom four. They are also unbeaten in their last three having also registered back-to-back clean sheets. In naming his starting line-up, boss Keates made one enforced change from the team that secured a point at Burton last time out. With Matt Jarvis absent through injury, Morgan Ferrier came back into the starting line-up having recovered from a hamstring problem. 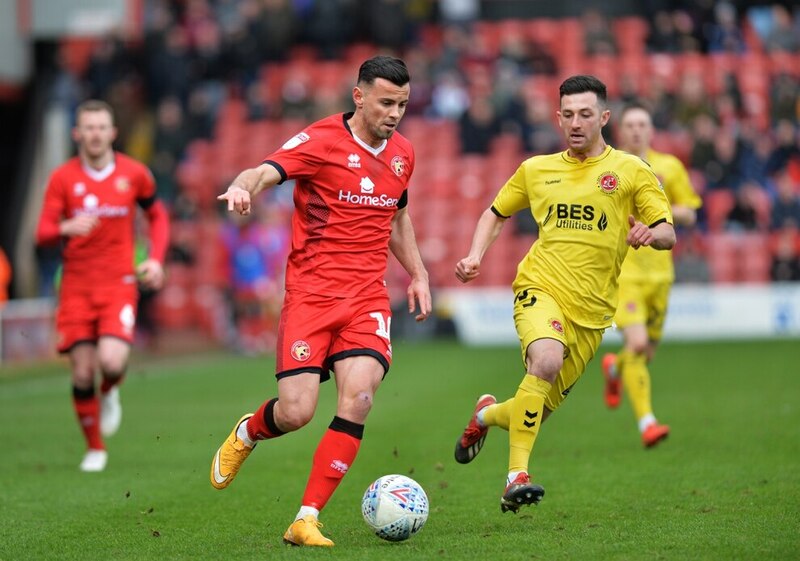 His return ensured the Saddlers were able to continue in a 4-3-3 formation with Ferrier and Zeli Ismail operating either side of Josh Gordon in attack. Fleetwood lined up in a similar 4-3-3 system with Ched Evans, Ash Hunter and Paddy Madden the front three. 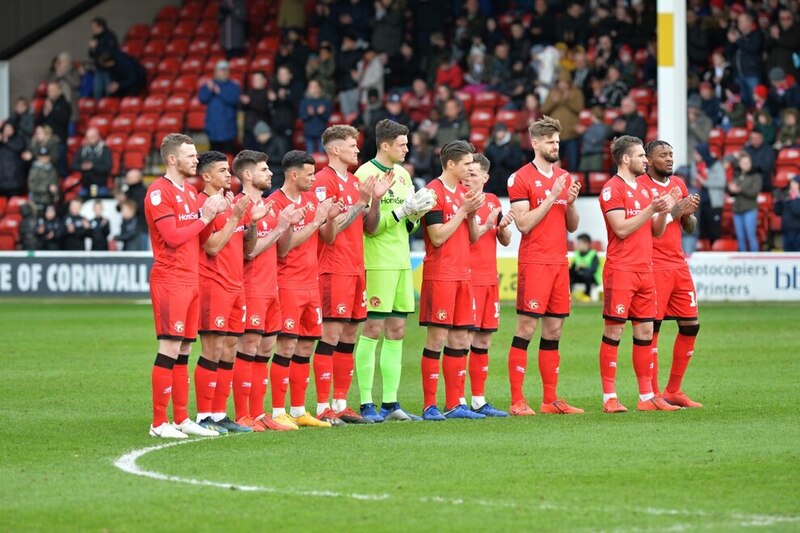 Before kick-off there was a minute’s applause held in honour of former Walsall president and chairman Barrie Blower MBE who died last month aged 78. In what proved an uninspiring opening 25 minutes, Ismail proved to be the only spark with the winger twice darting at goal only to see shots blocked. Otherwise, both teams struggled to find and rhythm with the Cod Army not having their first meaningful effort until just before the half-hour mark. It arrived after Evans initially battled well to work the ball to Hunter on the left. And he then cut inside before curling a strike wide from 18-yards. 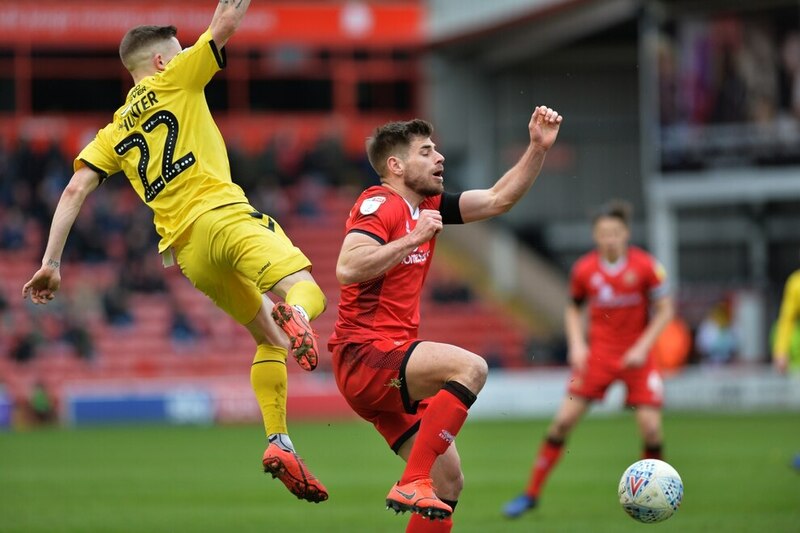 With Ismail continuing to look bright, Fleetwood’s players began doing everything they could to rile the former Wolves man. Nevertheless, clear-cut chances remained at a premium for the rest of the half. Walsall had one decent opportunity to open the scoring when Luke Leahy’s corner was only cleared as far as Joe Edwards. From 18-yards the midfielder then hit a screamer of a volley but it sailed inches over the crossbar. Just a few moments later, Fleetwood were adamant they should have had a penalty when Dan Scarr and Hunter came together in the box. But referee Eddie Ilderton saw nothing wrong in a half of football lacking in talking points throughout. It was Walsall who started on the front foot following the interval with Ismail hitting the byline and whipping in a cross which Alex Cairns spilled before gathering at the second attempt. 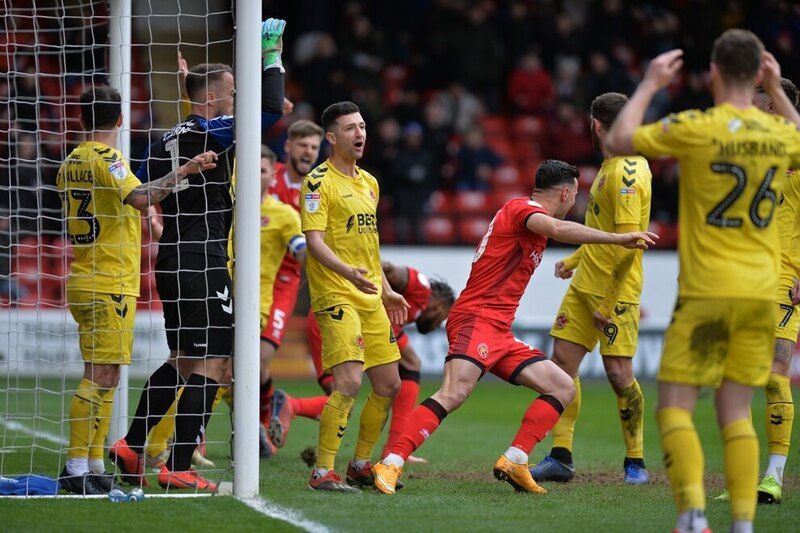 In the 54th minute though, the Saddlers got their noses in front with Dobson sending in the most dangerous of corners and Ferrier nodding the ball over the line from close range. The goal visibly lifted the Saddlers who suddenly began moving the ball a lot better. And some wonderful football saw them come inches away from doubling their lead in the 65th minute. Initially, Ferrier and Leahy combined well before the full-back pickout out Edwards with a low cross. And he then teed up Gordon who curled a powerful effort inches past the upright. Moments later though, the Saddlers did extend their lead. After a corner was cleared, Liam Kinsella sent a pin-point diagonal towards the back post. Leahy was then on hand to nod the ball back into the danger area with Scarr then firing through the legs of Cairns and into the net from close range. From that point the Saddlers defended well to restrict the visitors to very little. But just three minutes before the 90, the visitors had a glorious chance to pull a goal back. A free-kick wide on the right was sent into the danger area with Ashley Eastham meeting it with his side-foot. But the defender steered his volley over the bar when he should have scored. 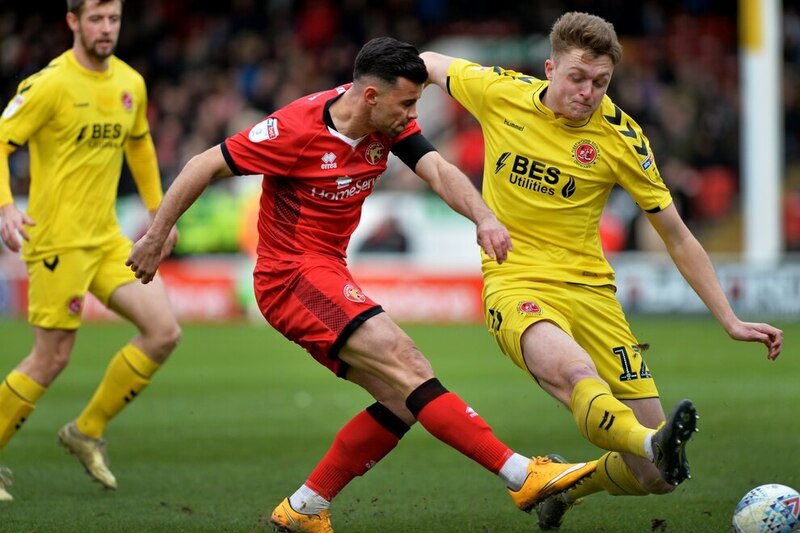 That though proved the last meaningful chance of the match with the Saddlers holding on relatively comfortably for what was a deserved three points. Walsall: Roberts, Leahy (Norman 90), Guthrie, Scarr, Devlin, Dobson, Kinsella, Edwards (Osbourne 81), Ferrier (Laird 70), Gordon, Ismail. Subs not used: Dunn, Fitzwater, Blackett-Taylor, Oteh. Fleetwood: Cairns, Holt, Eastham, Burns, Evans, Souttar, Madden (Nadesan 72), Hunter, Wallace (Rydel 72), Husband, Sowerby. Subs not used: Jones, Coyle, Nadesan, Biggins, Sheron, Baggley, Rydel.